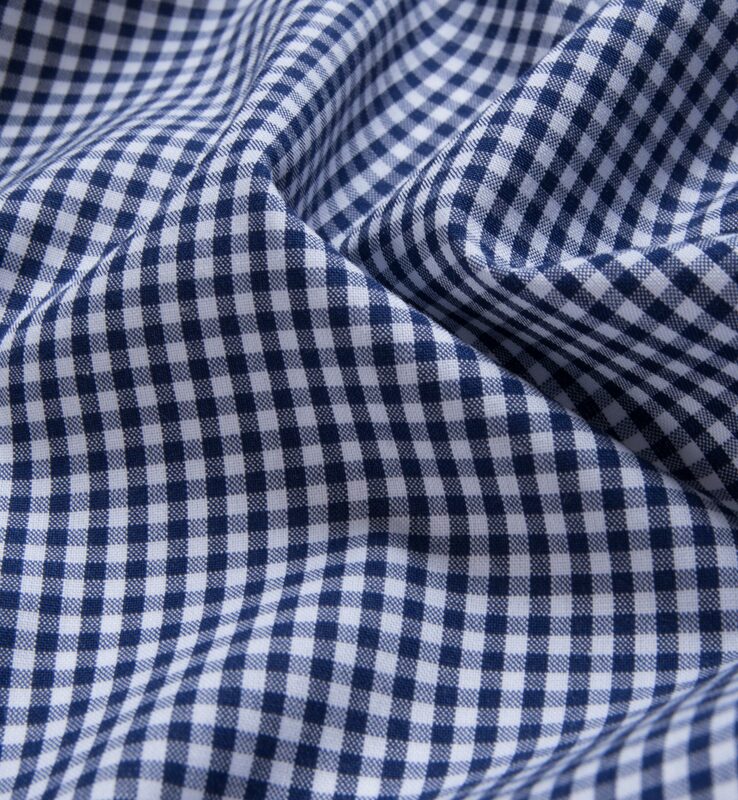 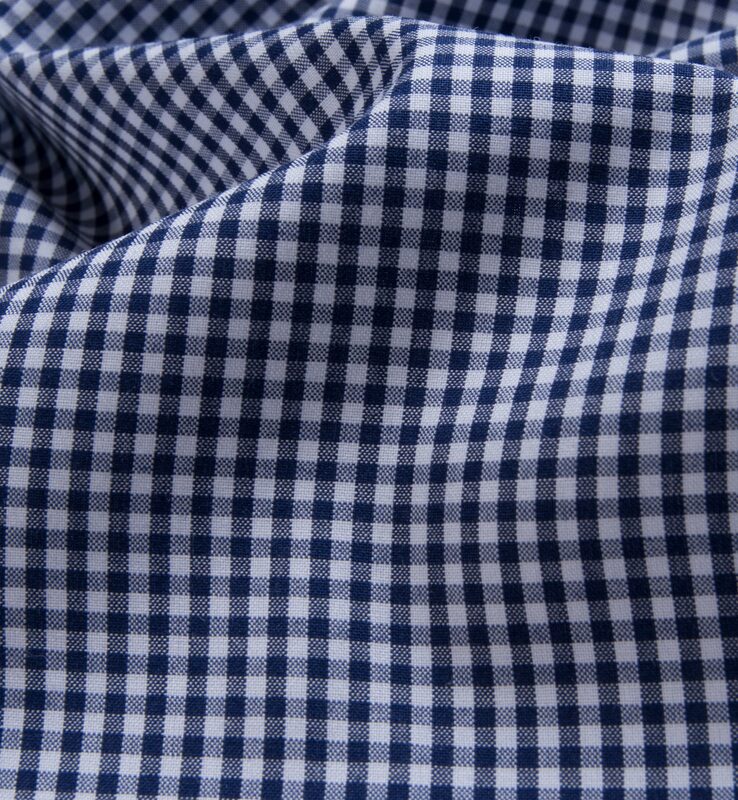 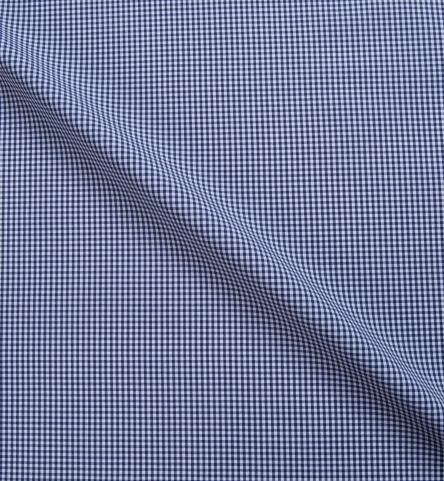 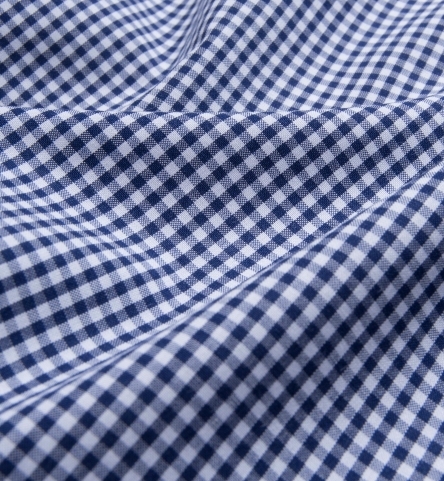 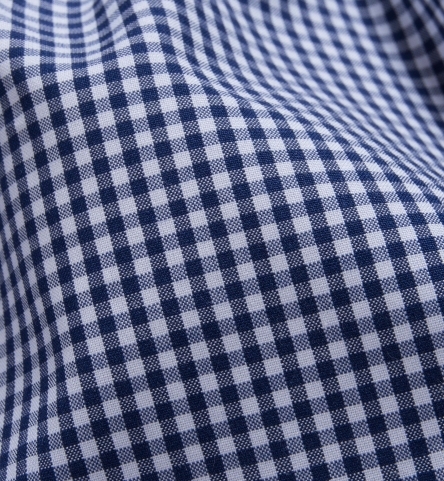 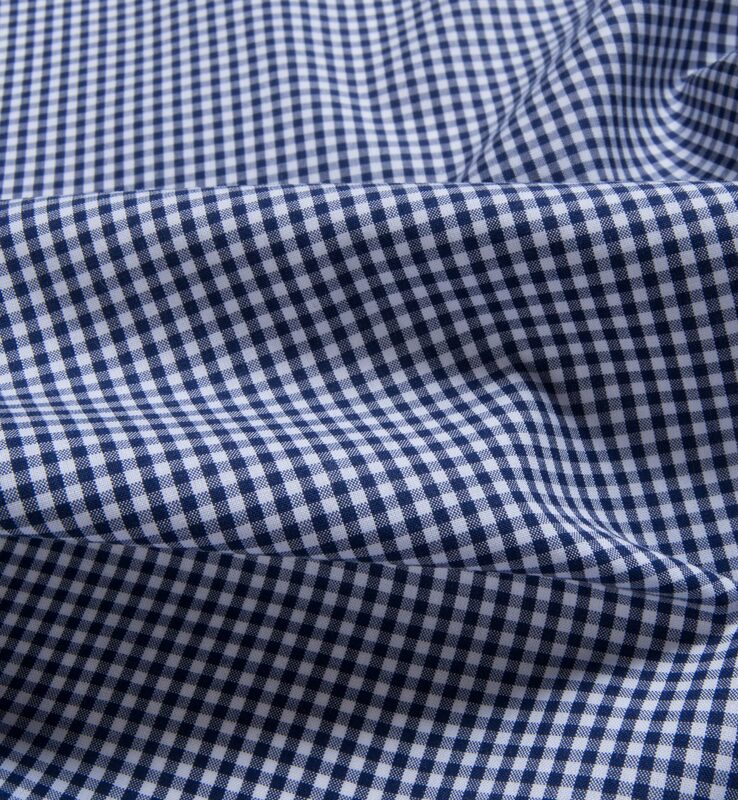 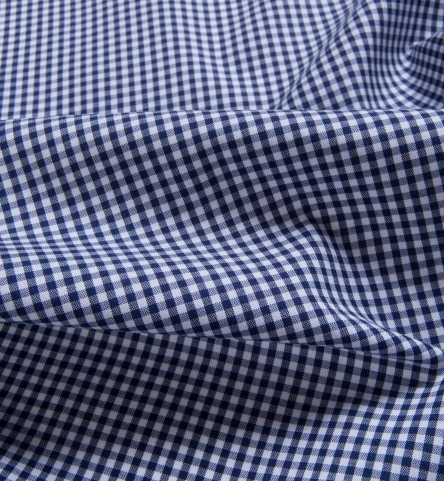 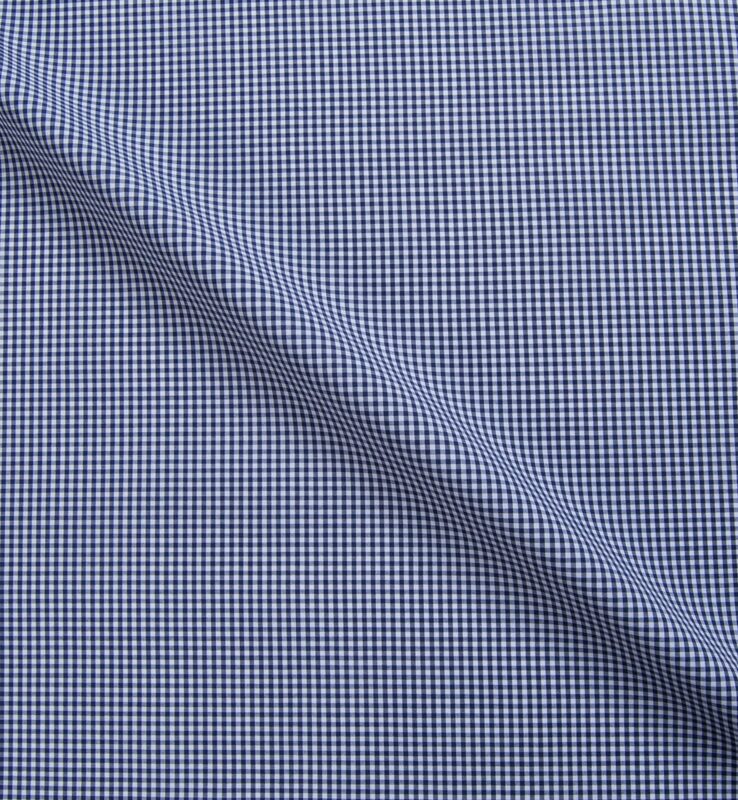 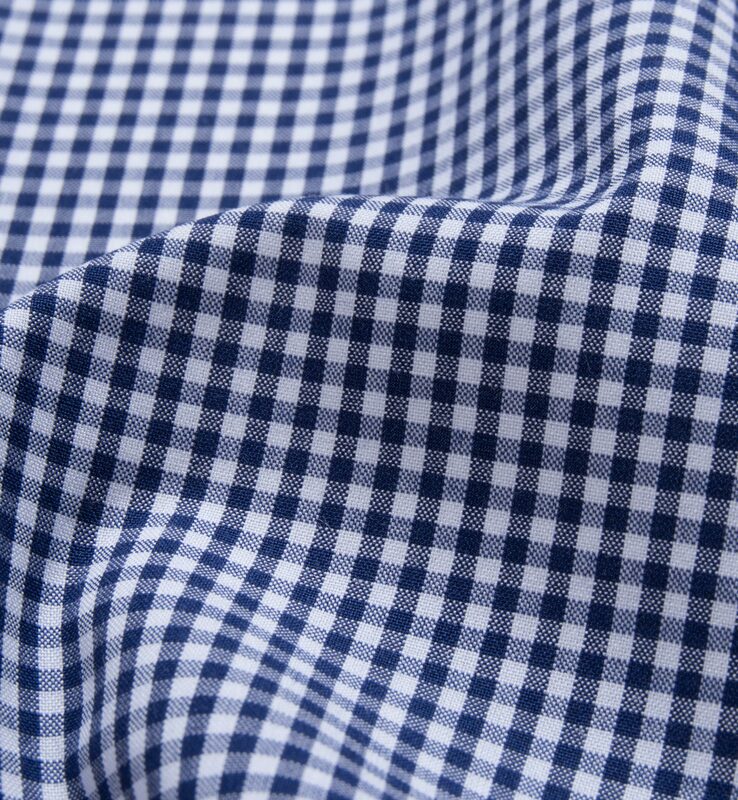 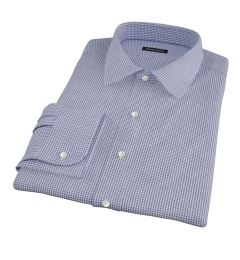 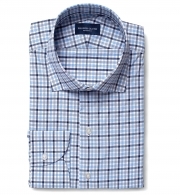 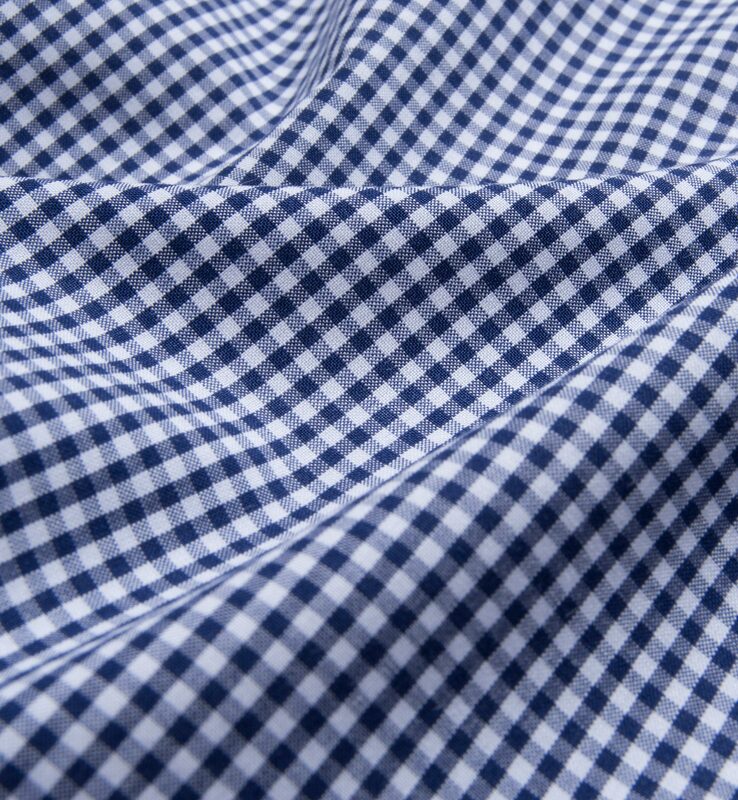 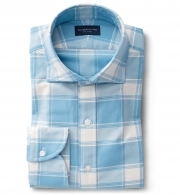 A silky smooth navy mini gingham from Italy's Canclini mill. 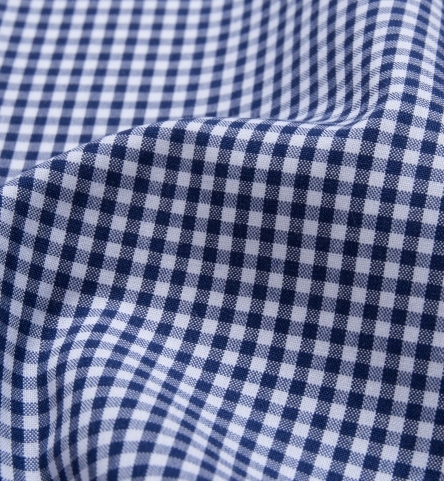 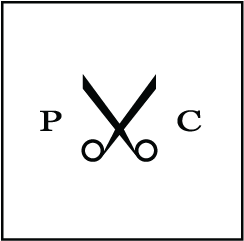 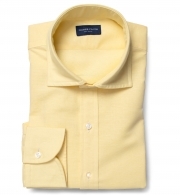 With a 120/2 x 80/1 construction, this lightweight broadcloth feels great to the touch. 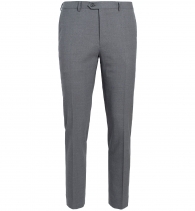 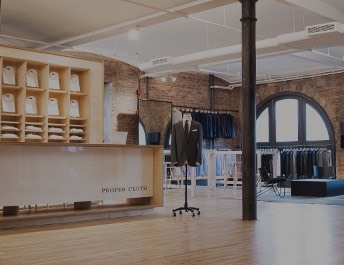 The smaller scale gingham pattern means it's easy to wear with a suit and tie, but can still be dressed down with jeans on a night out.